You are here: Home / Week by Week / Snake! First, a photo of my garden last evening. What the heck is that lurking around the Habanada pepper marker? It’s a black mamba snake of course. Now you might tell me – Lynn, black mambas don’t live in South Carolina. You’d be right – they’re not native to the Upstate (or even the USA). They’re from southern and eastern Africa. 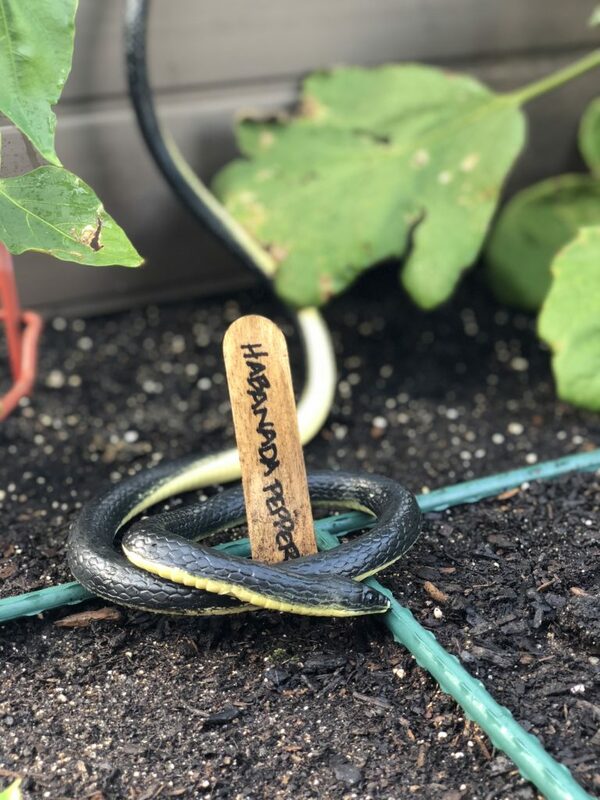 Well, you might ask, how is one in your garden? Quick answer: I put it there! It’s a rubber snake I bought from Amazon.com. Why would I do that? This guy. Not a great shot, but you can see my new nemesis. 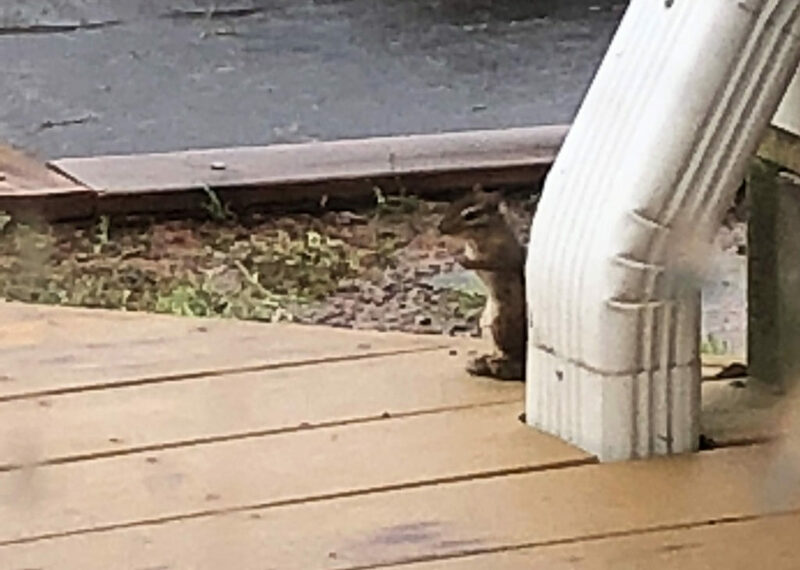 Don’t get me wrong, I love seeing chipmunks and enjoying their antics until they burrow right into the square foot garden! I was out watering on Monday night and, much to my surprise, this little fellow got wet and ran right out of the little hole he dug under the Aji Dolce pepper. Grrrr. After research, I learned that chipmunks don’t like strong smells and they are apparently terrified of snakes. So, I’ve put spent coffee grounds around all of the plants and have installed the snake as a deterrent. Anyone want to name him or her? We can’t keep calling it snake…..